I like to have a nice drink from time to time. I have just discovered the Lagavulin thanks to Cédric and it is amazing. I have never tasted a single malt which is so smokey, yet so good. It’s the best whisky I’ve ever had. 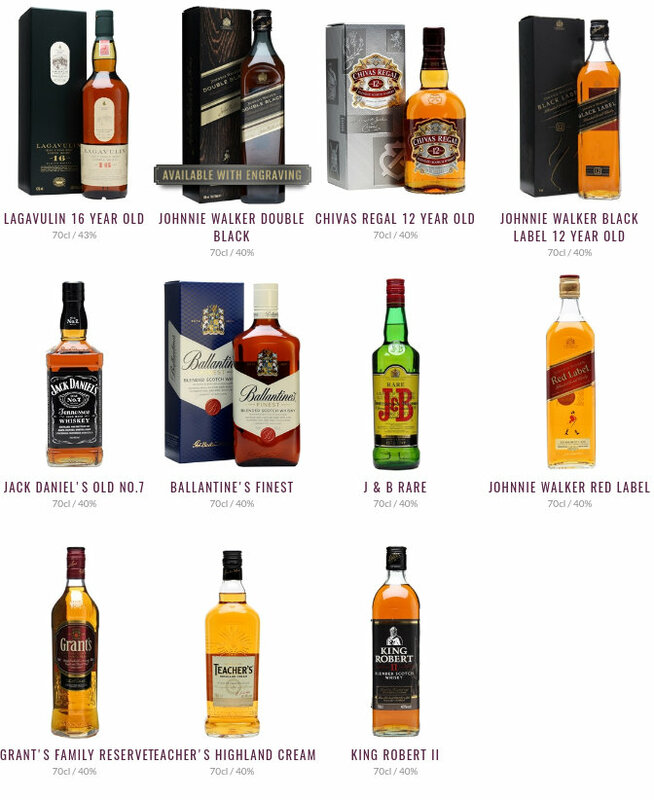 Next come the Johnnie Walker (Double Black and Black) as well as the Chivas Regal which are my go-to (relatively) high-end drinks. This is what we have when we have something special to celebrate. The Jack Daniel’s is in the same league but is a whisky that I drink less frequently and I know a few people who do not like its taste. On the lower level come the Ballantine, the J & B, the Red Label. I prefer the Ballantine which is basically my everyday (not that I drink everyday!) whisky. It’s not very expensive and is quite refined, compared to the Red Label which is not very good to be honest. Finally, at the lowest level come the remaining three brands (Grant’s, Teacher’s and King Robert) and I have to say that I like King Robert very much. It’s very inexpensive, relatively speaking, and is quite easy to drink. It’s basically what I have with family and friends if we are not in a whisky tasting mood. To summarize, here are my whisky selection : Lagavulin, then Double Black, then Ballantine’s and finally King Roberts. With those four, I have all bases covered. Don’t drink and drive, though. Thank for share your info love to read your article, my favourite is the ballantines finest.